Richard Karpinski (middle) was found this afternoon. Photos: Supplied by Monaro Police District. Police have found missing 84-year-old Richard Karpinski after he disappeared from his home two days ago. Around midday on Thursday (6 September), Mr Karpinski was located by searching personnel. He is currently on his way to Cooma hospital for a check-up. 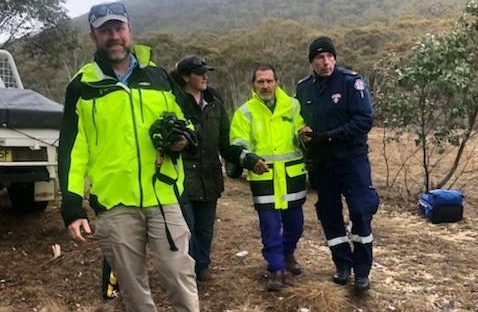 Mr Kapinski was last seen on Tuesday afternoon around 4 pm (4 September) walking towards the bush near his home on Bobeyan Road at Shannons Flat. After overnight searches involving police, SES, RFS, a rescue helicopter and other emergency services, Mr Karpinski was found. 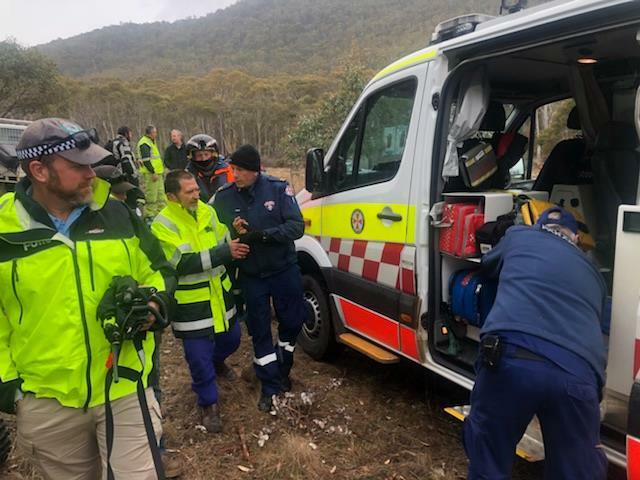 Monaro Police District would like to thank everyone who assisted and in particular personnel from SES NSW and ACT, NSW Rural Fire Service, NSW Ambulance, Westpac Helicopter, PolAIR, Toll Rescue and local community including those who turned up and offered their assistance.